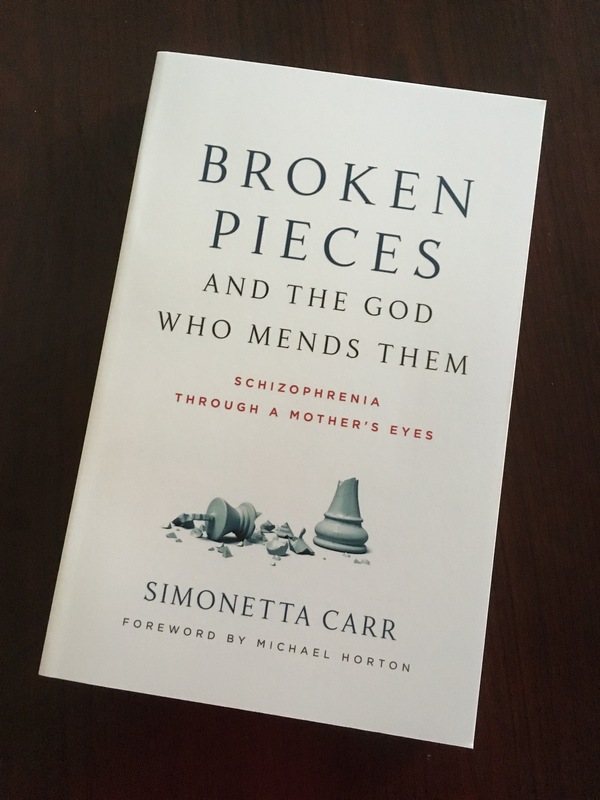 This week’s author interview is with Simonetta Carr. She is the author of our upcoming book, Broken Pieces and the God Who Mends Them: Schizophrenia through a Mother’s Eyes and also Weight of a Flame: The Passion of Olympia Morata, which is part of our Chosen Daughters series. Question #1 — Have you always enjoyed writing? Yes. I learned to read and write when I was 4 and one of my first and favorite presents was a small typewriter. As a child, I used to write and illustrate short stories, just for fun. I threw them all away at a time when they just seemed like clutter. In school, I used to get top grades in writing. It was actually the only subject where I got top grades. My mother, an Italian teacher, used to take advantage of my interest by asking me to write thank you letters and correct her students’ essays (they were my same age). I also wrote lots of poetry. When I was commuting by bus or subway, I often stared at interesting people and wrote a short poem about them, just like an artist would sketch their features. Question #2 — Do you have a specific spot where you enjoy writing most? At my desktop. I type a lot faster than I handwrite, and I have older files and the internet at my fingertips. My working space is a very large walk-in closet which is annexed to my bedroom. When we bought our house, and saw this huge closet with two windows, we immediately turned it into something else. At first, it was a bedroom for our youngest child (and only daughter) when she was very young and needed to be close to us. When she moved out, I turned it into an office, but I also keep my clothes there. It’s quite cluttered, with huge piles of books (besides those on shelves). It would drive a Feng Shui practitioner crazy. The neat, clean, working spaces of some of my friends have caused me occasional doubts about my system, but then I saw a photo of B.B. Warfield in his study overcrowded with books and felt perfectly vindicated. Question #3 — At what time of day do you write most? I write whenever I have time, but my favorite and most productive time is early in the morning. Sometimes I can’t sleep and write at 3:00 am for a couple of hours (then I go back to sleep). Words flow easily at that time. Question #4 — How do you deal with writer’s block? By denial. I grew up with writing assignments, first in school, then in journalism. As a homeschooling mother, I coached my kids as they wrote their essays. There was writing to be done and I just did it. I never heard of writer’s block until I came to the States and, since it didn’t seem helpful, I dismissed it. I don’t know if pretending it’s not there works for others, but I just treat writing as a task, like washing dishes, and it gets done. There are of course times when I don’t know what to write. Some subjects might be difficult, or I might have written so much about them that I feel I have nothing left to say. When that happens, I might read something other people have written and consider new angles. But all this works only for non-fiction. Writing fiction is quite different and I imagine writer’s block is very real in that case, because it requires a larger amount of creativity. The time of the day also matters. I don’t even try to write when I am tired. Question #5 — Is there anything you would like to add that you have not been asked about? I’d like to add a word of advice from my mother, who was also an author. She said, “Don’t write unless you have something to say.” That’s the best writing advice I have ever received. Question #6 — Favorite flavor of ice cream? This is probably a weird answer, because I don’t usually like ice cream or sweets in general. I do like Italian gelato because it reminds me of my childhood. When I find it, my favorites are hazelnut, coffee, all fruity flavors, and flavors with some alcohol in it, like rum and raisins (Italians have a variety of those). Berries and lemon are a common Italian combination of gelato flavors that takes me back in time. I am not a writer such as you, but enjoy writing memories of childhood and family times. Reading this interview has given me more things to think about and I appreciate what you’ve written. Now I must look into Italian gelato! !